1. 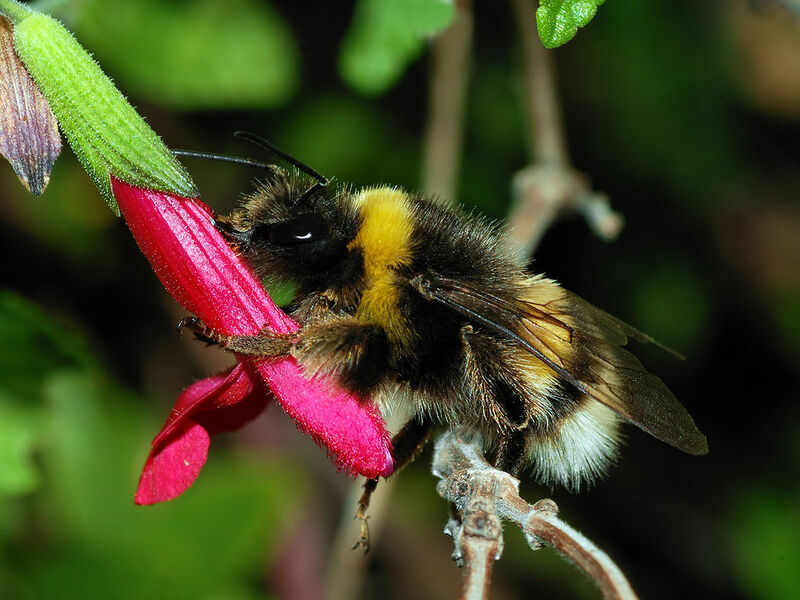 Globally, there are about 250 described species of bumble bees. They are found primarily in the temperate zones of North and South America, and Eurasia. 2. Relative to other bees, bumble bees have large bodies and they are generally furrier than most other bees. 3. 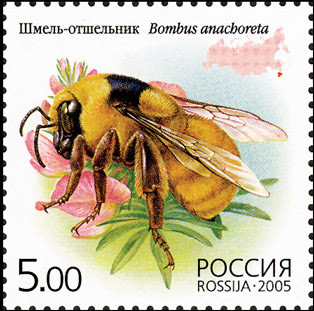 Bumble bees are documented to pollinate many important food crops. They are also more effective than honey bees at pollinating crops grown in greenhouses. 4. When most insects are inactive due to cold temperatures bumble bees are able to fly by warming their flight muscles by shivering, enabling them to raise their body temperature as necessary for flight. 5. Instead of starting their own colonies, some bumble bee species have evolved to take over another species’ colony to rear their young. These ‘cuckoo’ bees then use the workers from the queen-less colony to feed and care for their offspring. 6. Some bumble bee are known to rob flowers of their nectar. Nectar robbing occurs when a bee extracts nectar from a flower without coming into contact with its reproductive parts (i.e. anthers and/or stigma), usually by biting a hole at the base of the flower. 7. Bumble bees are effective buzz pollinators of several economically important plants in the family Solanaceae such as tomato, bell pepper and eggplant. In buzz pollination bees extract pollen from a flower by vibrating against the flower’s anthers, making an audible buzzing noise. 8. Currently, the Common Eastern bumble bee (Bombus impatiens) is the only species being commercially reared for pollination services in North America, despite the fact that it is only native to the eastern U.S. and Canada. 9. Unlike their cousins Western bumble bees have white patches of hair on their abdomen. 10. They live in a variety of habitats, including flowering grasslands, savannas and alpine meadows. 11. Western bumble bees eat nectar and pollen; carrying pollen from plant to plant, Western bumble bees are excel lent pollinators making them an important part of the ecosystem. 12. The name “bumble bee” was given to this family of insects because of the humming sound they make when they fly. Contrary to popular belief, the humming sound is not produced by the beating of their wings, but by rapid vibrations of their flight muscles.